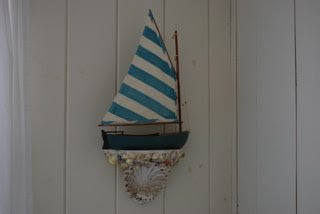 We are home from the coast and busily washing clothes and preparing for our next adventure. The relaxation with mom and dad was wonderful, but I don't think I really thought about how close to our trip over the big pond was coming up. DH mentioned to my parents that he would be sending us to Atlanta on Tuesday and asked if they could pick us up. I realized that was in exactly 5 days and I was still in Florida. I panicked. We ended up leaving a day earlier and DH and I made lists on the way home of what we needed to get done. (Find suitcase for Sav, change some currency, find the right adaptors, etc...) With all that, we still found time to go to California Pizza Kitchen and see a movie last night with friends. It's all good and I'm back on track. Tomorrow is our day to worship together and it is also our Vacation Bible school kickoff. That is always fun and exciting. We also are getting together with DH's parents for lunch since we haven't seen them in a bit. 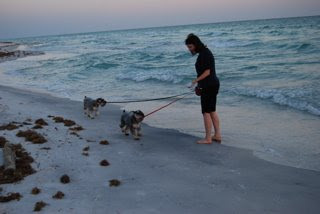 On Tuesday Sav and I will kiss DH and the puppies goodbye for a little while and head to Atlanta. Hopefully, we will get to go to Melear's for my favorite barbecue and sweet tea that evening and spend the night with mom and dad in Peachtree City. Wednesday will see us back to the airport to meet with Charlotte and the other girls for our big trip! I believe there are about 15 in our group. A sweet little group of girlfriends and mothers and daughters. I am trying to pack light. It's harder than you think with a teenager going. They want to have LOTS of choices to wear. I am really having to pare some things down for Sav. 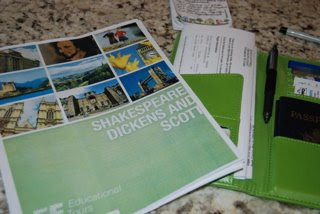 Last year when mom and I went to Italy, we both carried carry-on suitcases. We had the smallest amount of luggage and the airlines lost mom's luggage in route. We both travelled and wore my clothes from just a carry-on! So, I know that it can be done with just the necessities. (They never did find mom's luggage) It was still a fabulous, once in a lifetime trip. This is the first time that Sav and I have been so far away from DH. When we were driving back the 7 hours from the beach, we couldn't believe it was the same 7 hours flying time to London. The world really is a small place and we can get to each other pretty quick. It helps knowing that he is just a drive/flight away. We are so excited!! We absolutely love sunset time at the beach! The water is beautiful and the crowds have mostly gone in for dinner. My pups Harvard and Azalea especially love sunset time. 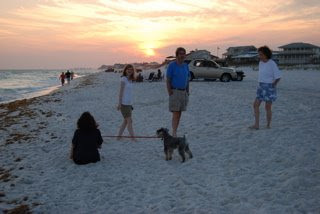 Dogs are allowed on the beach after 6pm and they are so excited to ride in the beach truck down to the sand. Harvey looks like a rabbit leaping through the sand! Sunset with my loved ones. The end to another wonderful day. 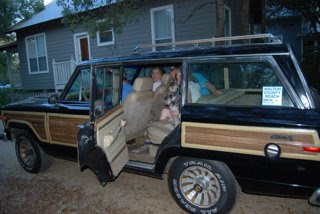 Ready to ride in the beach truck! 4 wheel drive is needed to drive through the sand. People get stuck all the time when they see cars on the beach. They don't realize that you have to have 4wd, so we see people digging themselves out or being hauled out by the tow truck. 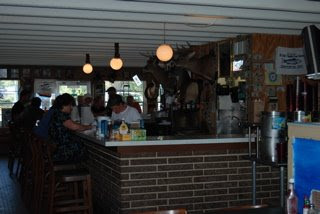 One of our favorite places to eat is Nick's on the Bay in Basin Bayou, Florida. 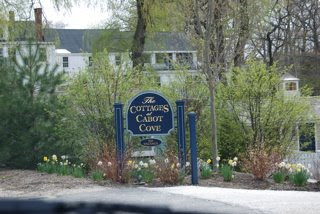 It takes about 30 minutes travel time from the cottage, but it is well worth the drive. 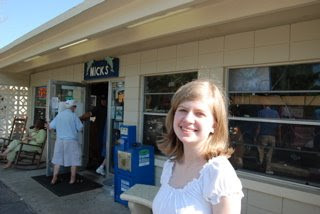 I think the first time I went to Nick's I was probably 7 or 8 years old and the original Nick was still around. 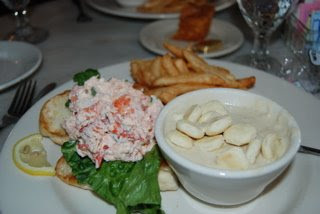 It sits right on the Choctawhatchee Bay and the seafood is fresh off the boat. Nick's relative's still run the restaurant. 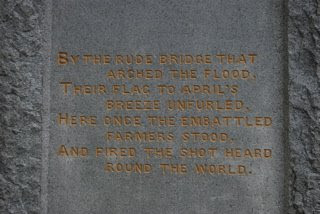 For a long time it was just locals who came here and the few who had found this gem. When we sat down this last time, the food was fabulous, but it looks like the word about this delicious food is spreading and the prices were finally reflecting it! The locals tend to hang out at the bar and stare at who comes in. Deer heads and all! 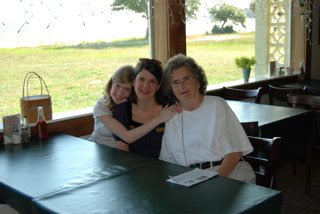 Savannah, Mimi and I getting settled at a table with a view of the bay. 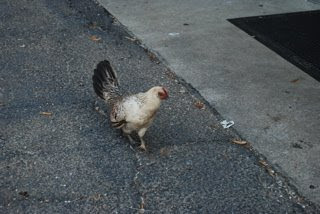 Yes, I had to take a picture of the chicken outside the door! 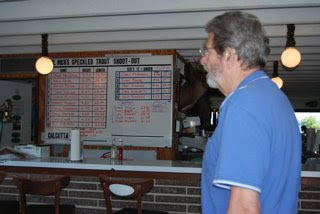 Dad checking out the fish shoot-out board. We have now been at the beach for about 4 days and it has been wonderful! 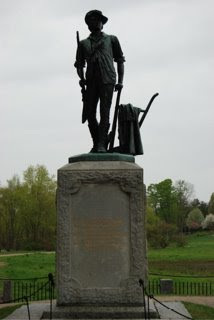 Savannah and I travelled down with my parents on Friday for a restful Memorial Day weekend. Some friends of my parents, Judy and Perry spent the weekend visiting too and it was so nice to get to know them. Judy said that if we lived close together that she knew we would be great friends. We shopped, watched beautiful sunsets, ate great food and all six of us played Mexican Train Dominoes all evening. Swinging on the porch swing, the candle chandelier lit in the evening, listening to good jazz music, and visiting with friends. It doesn't get much better than that!! ...until DH (dearest husband) comes tonight! I guess I am feeling a little sentimental today. Savannah is finishing up her Sophmore year this week and is already saying she is practically a Junior. 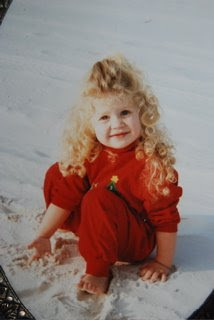 This picture above is the little face I see in my mind when she seems so grown up. Everyone said the time would fly by and now I truly believe it. I have loved every stage she has gone through. And now she is my best little friend. She truly is one of the finest people I know. She has such a beautiful, pure and tender heart. She tries to live a Godly life and is a wonderful Christian example. I see her daddy in her and I am so proud and I see the good parts of me in her and I am so thankful. She teaches me something beautiful every day. Thank you 'Precious' for giving me so much joy in your daddy's and my life! We love you!! 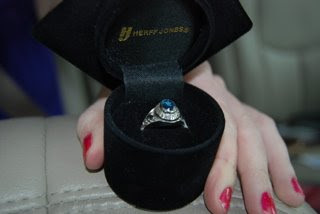 I can't believe my little baby girl has a class ring. She is so, so excited to have it. She picked out what she wanted on it and has been excitedly waiting for it to arrive. It came in last week. She and her two best friends all got theirs and they are so happy and feel so grown up. I can remember the excitement of getting my class ring. I felt like it was the key to the start of adulthood and feeling truly grown up. I am so grateful to my Heavenly Father for the gift to see all these special milestones in my daughters life. In my jewelry drawer I like to look at my old class ring and Savannah has had fun trying mine on in anticipation of hers. I did the same at my home growning up. I tried on my moms ring and my Nonnie's ring in her jewelry drawer. I can just imagine my mom doing the same with Nonnie's ring. 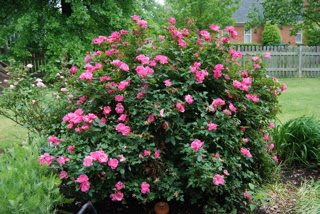 I had to show you a picture of my rose bush out back. Now I do not have green fingers or thumbs. My friend Jodie is amazed by this bush. She is amazed because I have done literally nothing for this rose and it has still become about 5 feet high or more and twice as wide. I guess it just likes the spot it is in. I love walking past my french doors and see the vibrant pink outside. I enjoy perennials outside because they come back year after year and I don't have to do much except weed and mulch. Inside plants are a different story. I will bring in cut flowers and I set them around the house. Green plants tend to die inside my house because I forget to water and then I give them to Inez so she can revive them. She'll try to give them back, but I tell her just to keep them or it would be a continuous cycle of dying and reviving until I totally kill it. The only things I remember to water are my dogs. Anyway, I am very grateful for my rose bush. 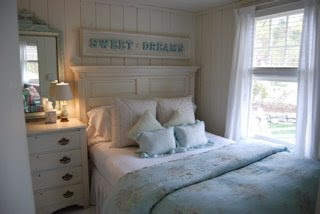 The last two days of our trip we spent at the 'Sweet Dreams' cottage at the cottages of Cabot Cove. 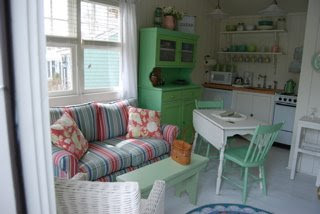 It was like living in a doll house for two days. 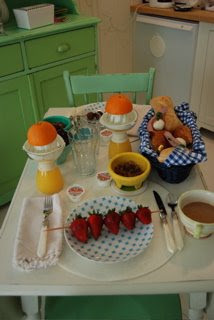 They brought us breakfast in a basket both mornings. 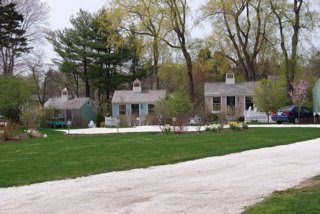 We loved just hanging out, reading and eating dinner at the White Barn Inn restaurant for Mother's Day which was spectacular. 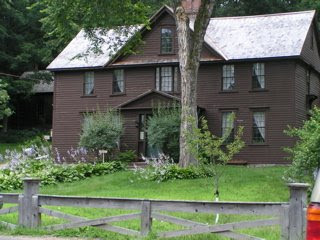 That evening we spent the night at Henry Wadsworth Longfellow's 'Wayside Inn' in South Sudbury. 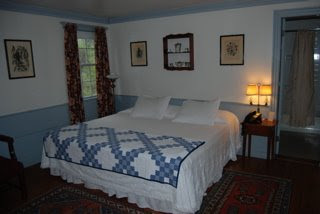 Very colonial bedroom and the Grist Mill was picture perfect. 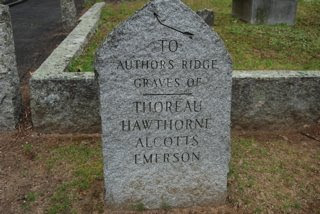 We visited Sleepy Hollow cemetery and walked up Author's ridge to see where Henry David Thoreau, Louisa May Alcott, Nathaniel Hawthorne and Ralph Waldo Emerson was buried. 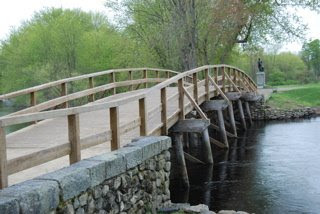 We walked across the 'Old North Bridge' where the first shot heard round the world was fired to start the American Revolutionary war. 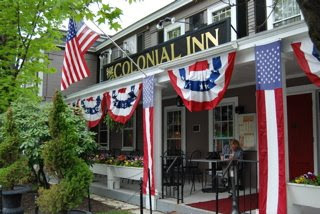 Next stop on our trip after Cambridge was the historic town of Concord where we had lunch at the Colonial Inn for a delicious lobster roll and clam chowder. 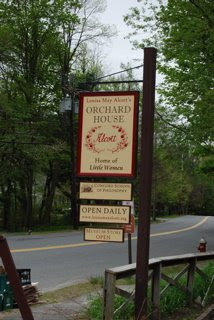 Leslie loved the tour of Louisa May Alcott's home 'Orchard House'. 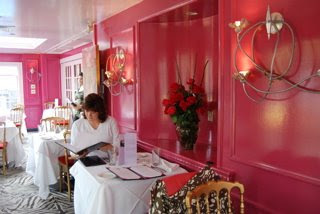 'Upstairs on the Square' was a cute restaurant where Les and I ate. 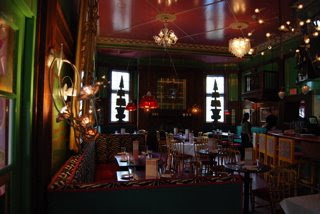 It had hot pink walls and zebra print carpeting. 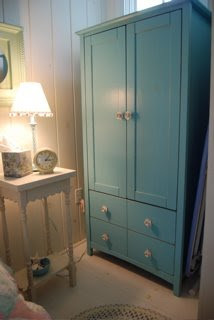 We just happened upon it and knew it was right up our alley. 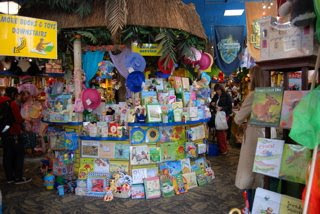 Another great children's bookstore that had every childs book imaginable...'Curious George's bookshop'. I found DH (dearest husband) a funny book here. 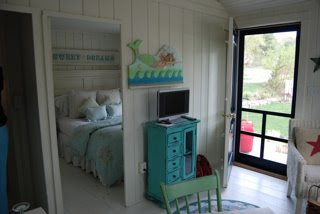 Leslie and I have returned from our trip and it was absolutely fabulous! Once again we had so much fun being together! 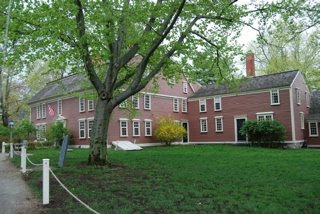 Our first two nights we were in Cambridge, Massachusetts, home of Harvard college and home to book stores galore! 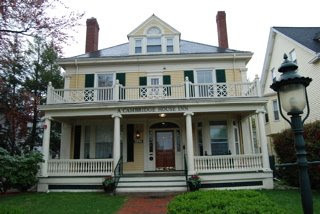 We stayed in a darling bed and breakfast called the Cambridge House and we were on the third floor up some very steep stairs. But it was worth the climb! 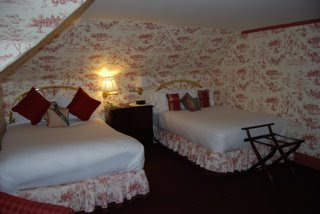 Our room was totally wallpapered in red toile. 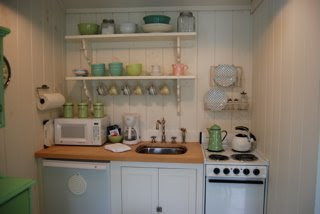 It was quaint and perfect! The first morning we decided to go down to Harvard Square and check the area out. 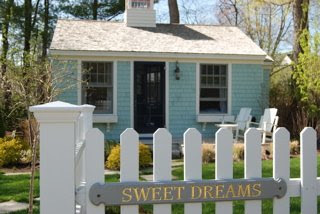 What is that across the street from the B&B? 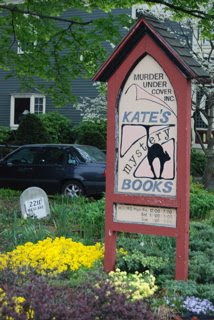 Does that say 'Kate's Mystery Books'? I about fell over with joy. Cozy mysteries are my favorite genre of books. 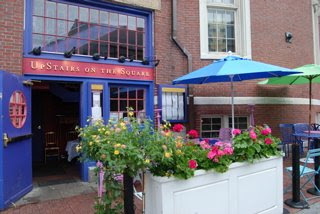 It did not open until 12:00 so we took the subway to Harvard Square and hit some fun places. On the way back to the room we stopped in Kate's Mystery Books and were in there for two hours! 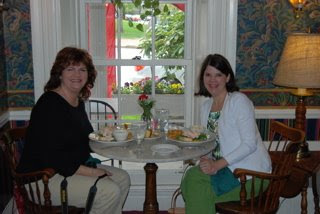 Kate was incredibly knowledgeable and we had a very nice chat talking mystery favorites. I think I left with 13 books, all for a great price since the majority were used paperbacks. What a wonderful way to start our trip! I called Savannah and said, "Guess where I am?" and I told her about the bookstore and she said, "Are you in heaven?" It definitely felt like it. I've got my bags packed and am just waiting for DH (dear husband) to come pick me up and take me to lunch and then to the airport. Yesterday he said he didn't want me to go and gave me a hug. Don't you just love when they do that? It's nice to be missed before you even go. I'll miss him too. He has a busy weekend himself carting Savannah around. Thursday night she has chorus awards banquet, Friday is their field day at the park, Saturday she and her chorus sing at a wedding in Nashville for one of the Ezell girls (Purity dairies) and Sunday worship. I'll be home on Monday, so by then DH will really be ready for me to come home. I have my camera packed so I'll take lots of pictures. 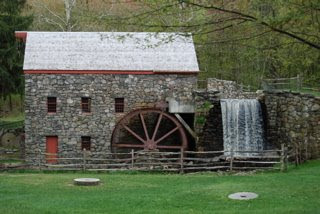 My friend Clare, who lives in Massachusetts has taken me to all kinds of neat historic places, so I've got a good idea of some of the places I want Leslie to see. 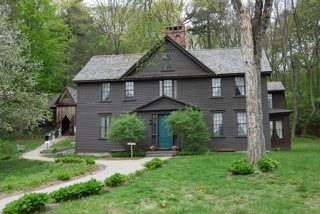 Louisa May Alcott's Orchard House, Walden Pond, Sleepy Hollow cemetery, Old North Bridge, the Wayside Inn, Ralph Waldo Emerson's Home, Nathaniel Hawthorne's home...and much more! 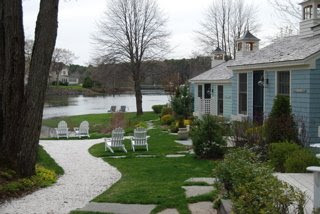 Then we will head to Kennebunkport, Maine for 2 nights of relaxation and celebrate Mother's day with each other. 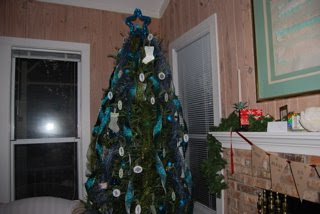 I am very proud of the Christmas tree we put up at Grayton Beach. 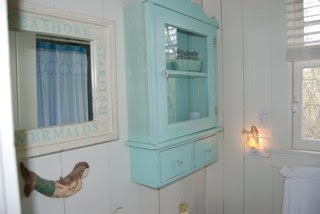 I thought I would share some pictures. 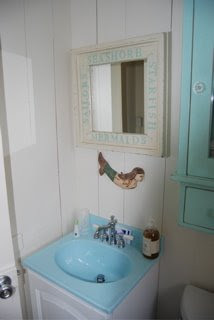 Savannah always wanted to decorate with blue and I thought this year would be appropriate since we would be at the beach. We went to Lowe's 3 days before Christmas and the trees were 90% off! We got a 13foot tree for $9.00! The cottage has cathedral ceilings, so only there could we have such a tall tree. 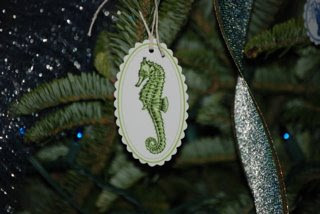 I brought the blue ribbon and blue star, made some blue/green paper stockings and found some precious paper tags with aquatic life on them. 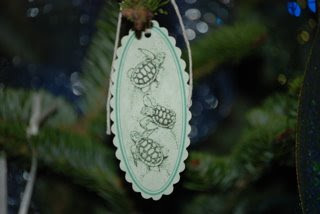 Some with seahorses, lobsters, shells, and sea turtles! 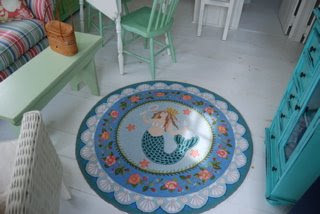 I found them online from Etsy, which have all kinds of stuff. 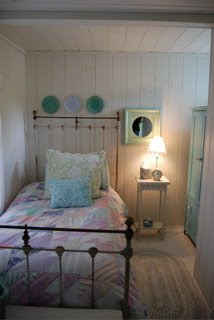 We were thrilled how beautiful it turned out. Especially at night with the blue lights on. 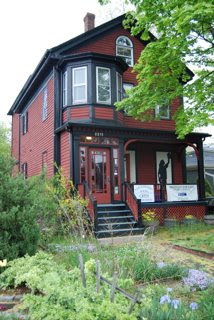 We had blue lights all over the front porch, around mom's magnolia wreath and down the steps. It was very festive and perfect for the beach. The last picture is of my precious niece Sydney. 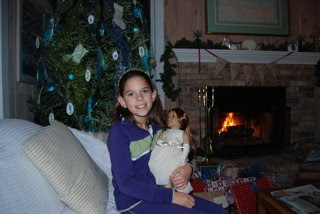 She had just gotten her American Girl doll 'Felicity' for Christmas. Everyone always says how much she is like her Aunt Julie, in looks and in personality. She is sweet, but has a rascally streak. I love her to death! She loves to read lots too!